3. Your phone will get stuck on Error 53 during any upgrade or restore process, so DON'T upgrade or restore your phone after replacing the home button. 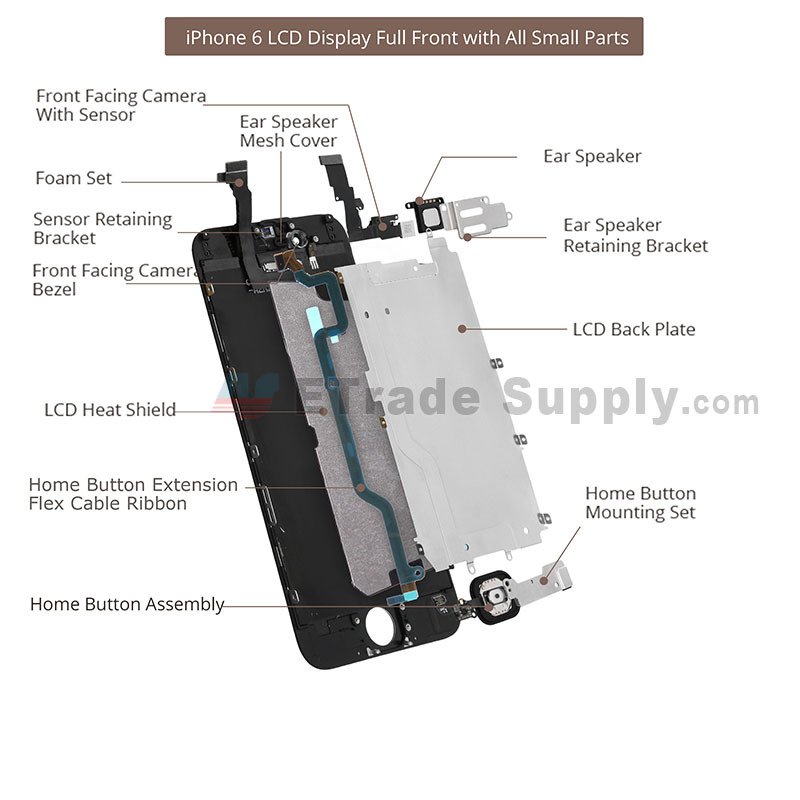 This item includes the LCD screen, Digitizer Touch Screen, Frame and Home Button already attached. The flex is important for the whole screen. 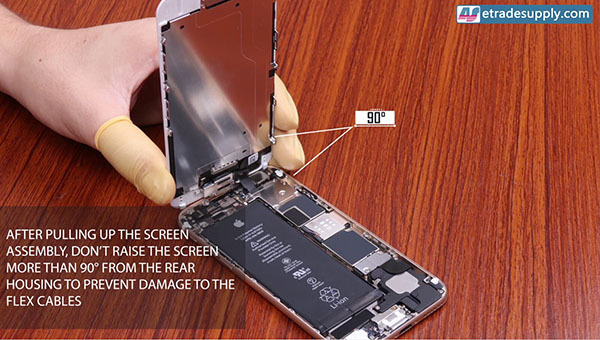 Only connected with the motherboard can the screen work normally on your iPhone 6 Plus. 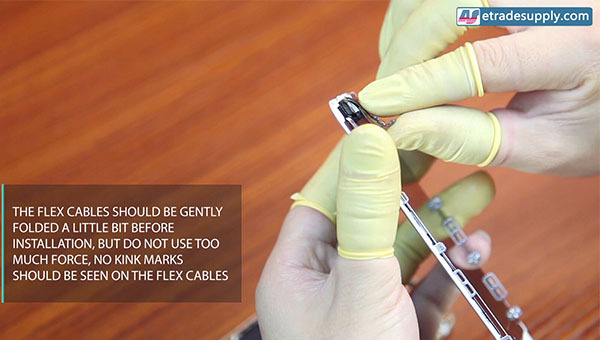 So you should be very careful when plug the connector avoiding bending and breaking the flex. This iPhone 6 Plus LCD Screen and Digitizer Assembly with Frame and Home Button is available in 3 colors: Gold, Black, Silver. 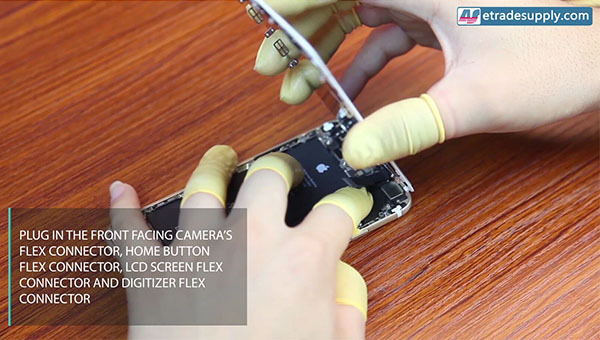 If you want to fix your iPhone 6 Plus screen, this part is your best choice. It's very easy to install. 100% OEM parts guaranteed. 1. 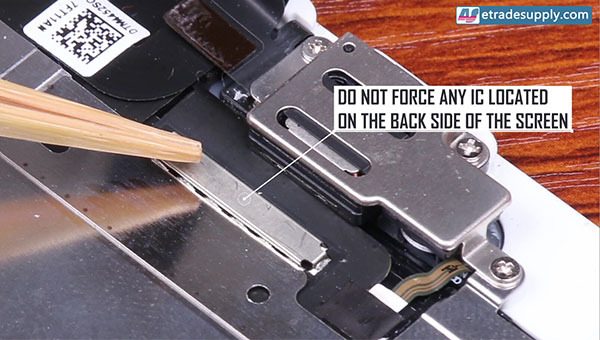 After pulling up the screen assembly, don't raise the screen more than 90 degrees from the rear housing to prevent damage to the flex cables. 2. 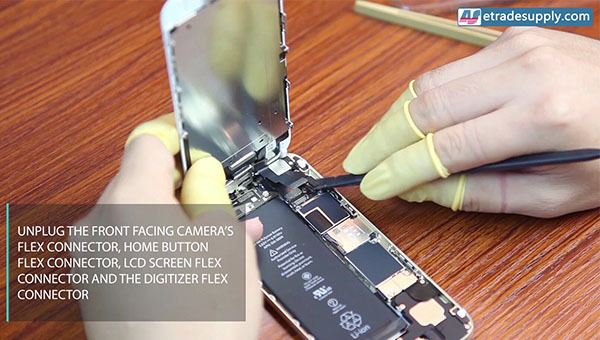 Unplug the front facing camera's flex connector, home button flex connector, LCDscreen flex connector and the digitizer flex connector. 6. 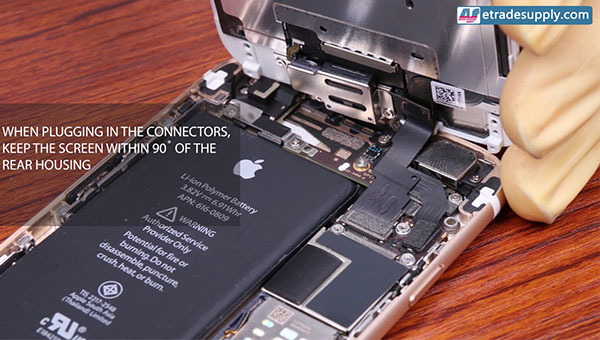 When plugging in the connectors, keep the screen within 90 degrees of the rear housing. I had cellphone repair experience before, replacing this iphone 6+ screen cost me about 30 minutes, all went pretty smoothly, be careful on the flex ribbon cables though. I have purchased a lot of screens from different sellers. The screens I purchased from eTrade were packaged great and the screens lined up perfectly. One of the main problems I have had with replacement screens from other sellers is the clarity and resolution. However, these are perfect, thank you for making my job easier.